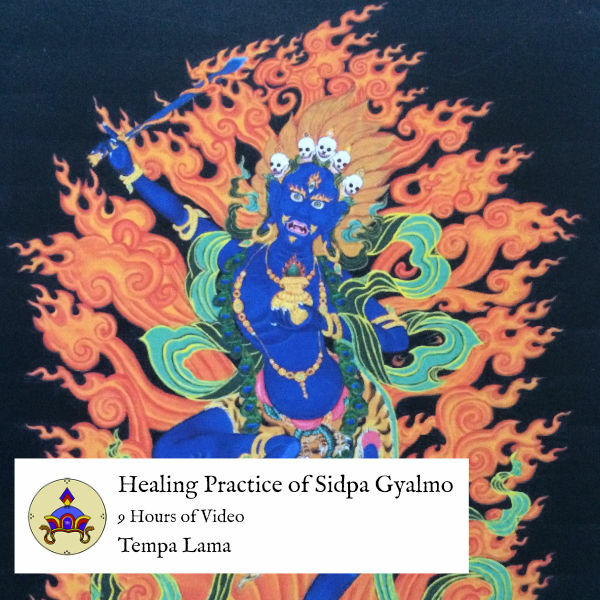 This video download teaches the traditional Bon healing meditation practice of Sidpa Gyalmo, the chief protector of the Bon tradition. Through the healing meditation practice of Sidpa Gyalmo (Sigyal Yeshe Walmo) we can clear both physical illness and disturbances in our mind and feelings. The practice opens us to our innate potential to heal ourselves and to help others heal. Over 9 hours of video. Downloads must be made to a computer. Most smart devices will not allow direct downloads. After downloading to computer, you may be able to upload to your smart device. For security reasons, you will have 1 day to download the files once you have made the purchase.